Due to popular demand we are making the JELL-OH SICKS-OH!! Exclusive Tee available for a limited time! FOR A LIMITED TIME ONLY!! We are making our limited edition EXCLUSIVE JELL-OH SICKS-OH!! Tee available to everyone who didn’t get one at the show! 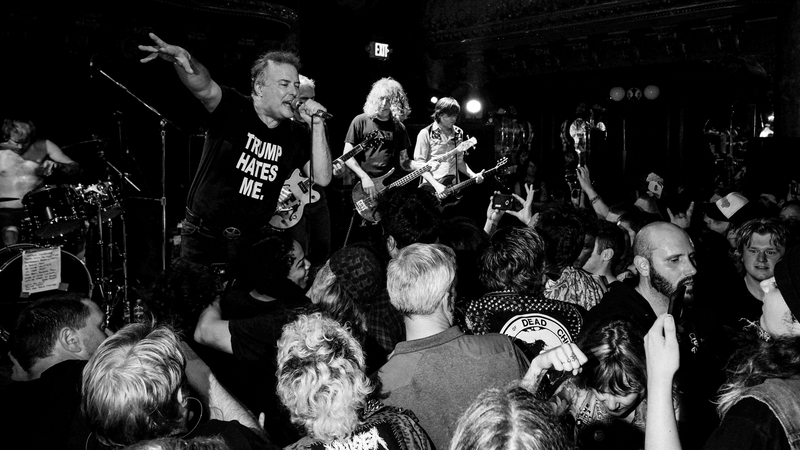 Featuring an incredible shot of Jello Biafra taken by photographer Larry Schorr, and the line up of Jello Biafra and the Guantanamo School of Medicine, The Phantom Limbs, and The Darts – US on the back! Available now in XS-3XL Unisex sizes and in Women’s Fitted sizes S-2XL! Once these are gone we will just be selling the shirt with a blank back and only featuring Larry Schorr’s photo on the front.